Custom flamingo shape bottle opener animal keychain may trigger sudden movement in your campaign with its uniqueness. Flamingo is one of the craziest, yet most loved birds on the earth and they are symbolized in context of some tangent values. This means it is perfectly going to suit your interests, if you stand with those values and wish to sketch that picture of reliability in minds of your customers. This animal keychain can be availed in excitingly low prices by ordering it in bulk. 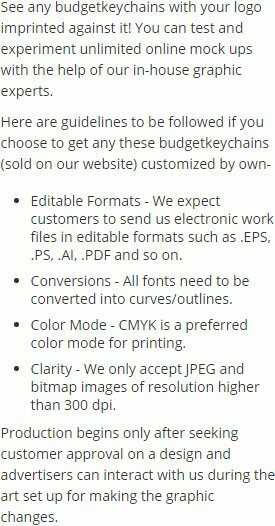 Request a quote to know price savings for this customized flamingo shaped bottle opener animal keychain. 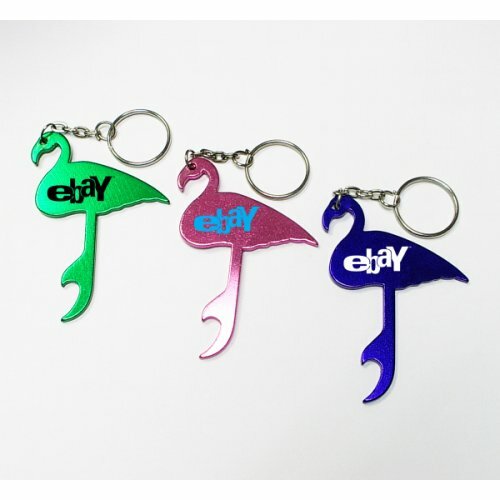 Features –Flamingo shape bottle opener with key ring in metallic finish. Product Size – 2" x 3 1/16"
Available Colors - Metallic Blue, Metallic Pink, Metallic Gold, Metallic Green, Metallic Red, Metallic Silver. Imprint Method – Printed & Full Color Process & Laser Engraved. Product Size : 2" x 3 1/16"